Video marketing budgets are reaching an all time high and brands are focusing on creating engaging and exciting content. As soon as that content is published, it’s off to the races to promote it and see what kind of engagement your video receives. While it’s important to track the metrics on your video, competitive analysis is also an important step to take when measuring your campaign success. With free tools like ChannelWatch, now you can see how your YouTube channel stacks up against your competitors. 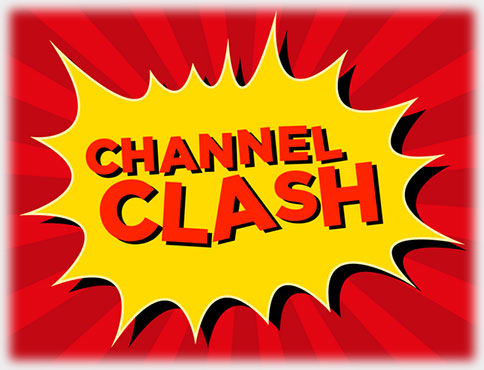 In this article, I will demonstrate the power of channel comparison and show how some of your favorite brands and musicians are stacking up against each other in the YouTube wars. Rising musicians compete on stage for the attention of their judges on the popular television show, The Voice. But how are fans getting behind Blake Shelton and Adam Levine on YouTube? Spoiler alert: Maroon 5 is completely crushing it! 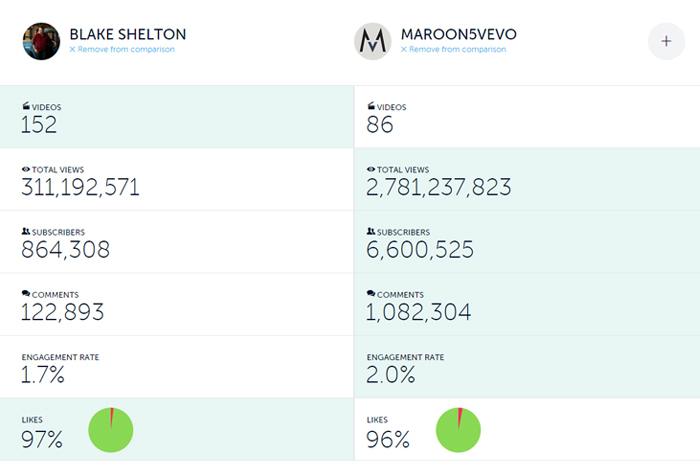 With half the number of videos posted to their YouTube channel, Maroon 5 has almost 9 times the total viewership and 8 times the channel subscribers. It is clear that Adam Levine has built himself a loyal and lasting digital fan base. Pro Tip: You don’t need to populate your YouTube channels with more videos to get more views. Quality over quantity, smart marketing and promotion will drive the same or better results. Finance and banking can be boring but when it comes to the video wars, we see an interesting battle for attention. BOA, Chase and Citibank use video for brand awareness and customer education. Taking a look at their channels, we see Bank of America leading the charge with the most viewership and channel subscribers. That said, Citibank (pink line) is making a tremendous comeback, significantly building their viewership over the past six months. Pro Tip: ChannelWatch not only shows you overall performance, but it can track performance over time. Switch up your timeframe to analyze your video performance over the past week, month or year. Two of the most iconic retailers, Levis and Gap, have established longstanding brand followers from consumers who are loyal to their favorite blue jeans. But when it comes to their YouTube channels, we see an interesting twist in the digital following behind each brand. Although they have nearly the same number of videos and total views on their channel, Levi’s is crushing GAP with more than 4 times the number of channel subscribers. But that’s just one piece of the puzzle! 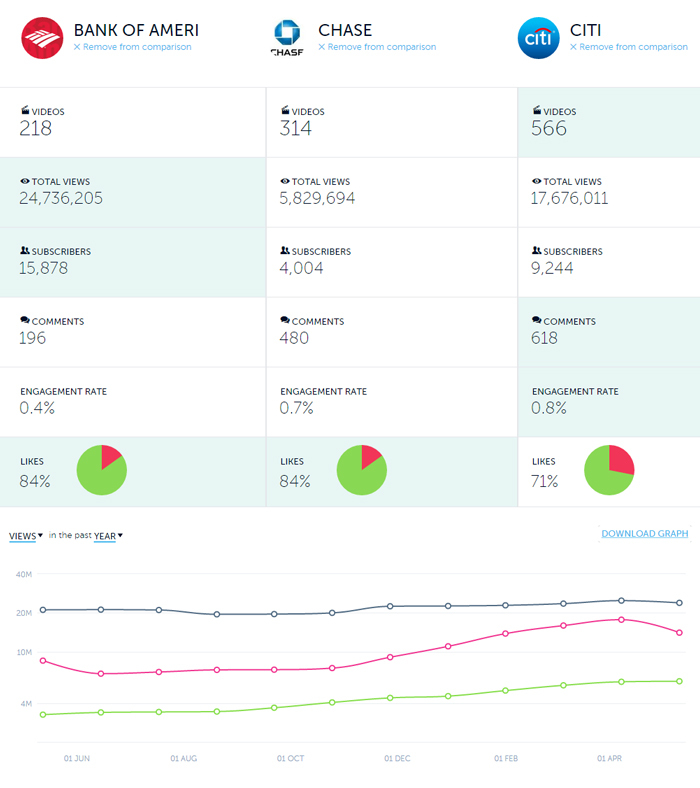 Taking a closer look at the metrics on their individual channels, we see GAP is fighting back on Twitter with twice the number of total video tweets. Clearly the iconic fashion brand has been investing heavily on video promotion via Twitter. Pro Tip: Don’t focus on just one metric as each metric relates to another, differently. Posting new videos to your channel may not result in a lot of views, but with the right CTA they can help boost specific metrics like video engagement or channel subscribers. Alex is the founder and CEO of Virool, a video advertising distribution platform, helping marketers get their videos seen.